Transitional in design, the Boxelder vanity stool features a dark weathered driftwood finish, a plush neutral ash colored seat, and a unique upholstered apron. 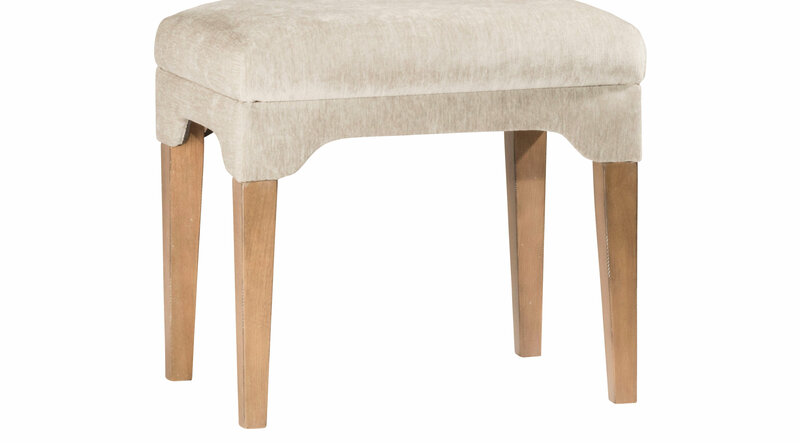 Boasting simple stitching and clean lines, this versatile stool can double as an end of the bed bench or extra seating or an ottoman in a living room. An ideal multi-functional piece of furniture, the Boxelder stool is a perfect purchase for your bath and vanity area, or any other room in your home.